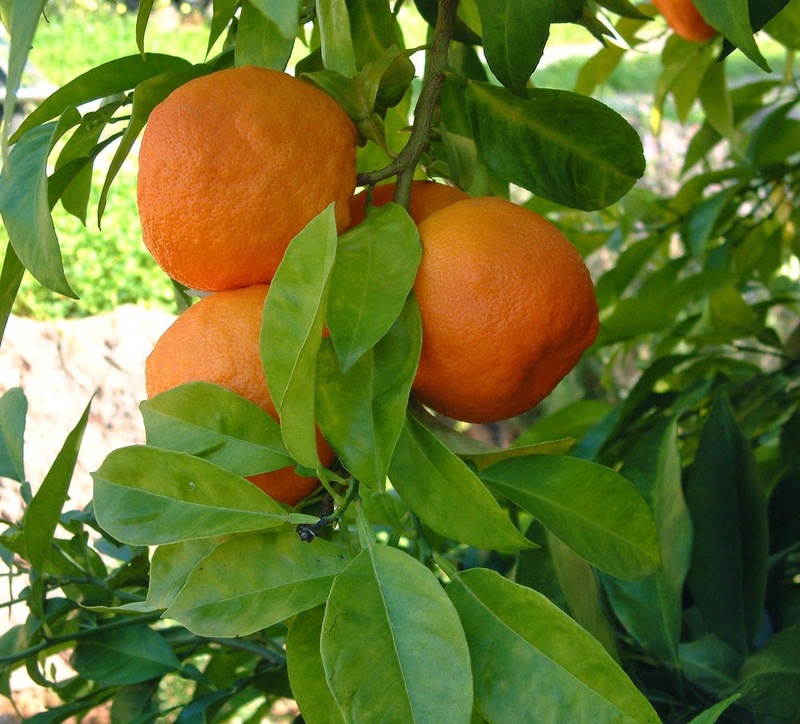 Citrus sinensis, Sweet oranges, just one example of the large number of citrus varieties to be found growing on the Algarve, both as ornamental trees and as commercial crops. The largest ornamental citrus nursery in Europe is based on the Algarve. It grows and distributes 1.5 million orange, lemon and lime plants in various sizes to 32 EU and East European countries. During the early part of the year the air is sweetly scented by the many orange groves in full flower. The Arabs were the first people to mention oranges in their writings and our word for the fruit is derived from the Sanskrit name they adopted (nagarunga). The Moors used oranges medicinally and are credited with introducing oranges and limes into Spain and Portugal from where they spread into the New World. However, the oranges brought by the Moors to Portugal were bitter oranges, and it is believed that sweet oranges were in fact brought from the Far East by the Portuguese around the beginning of the 16th century. It has enjoyed great success ever since, to the extent that the name of the fruit, in many countries, became confused with that of the country (Albanian - portokall; Bulgarian - portokal; Greek - portokáli; Romanian - portocálâ; Turkish - portokal; Arabic - bortuqal or burtuqálu). It is believed that Portugal was the first country to use citrus fruit as a treatment against scurvy on long sea journeys.